The proteinpow.com Site is provided to you free of charge for your personal use subject to these Terms and Conditions and our Privacy and Cookies Policy. By using the proteinpow.com Site you agree to be bound by these Terms and Conditions and our Privacy and Cookies Policy. We reserve the right to update, change or replace any part of these Terms of Service by posting updates and/or changes to our website. It is your responsibility to check this page periodically for changes. Your continued use of or access to the website following the posting of any changes constitutes acceptance of those changes. If you do not wish to accept the new Terms and Conditions you should not continue to use the proteinpow.com Site and the Online Store. To register with proteinpow.com you must be over eighteen years of age. You must inform us immediately of any changes to the information that you provided when registering by updating your personal details. Proteinpow.com does not take any responsibility for incorrect details listed upon check out. When you register to use the proteinpow.com Site you will be asked to create a password. You must keep this password confidential and must not disclose it or share it with anyone. You will be responsible for all activities and orders that occur or are submitted under your password. If you know or suspect that someone else knows your password you should notify us by contacting Customer Services (see below for contact details) immediately. If proteinpow.com has reason to believe that there is likely to be a breach of security or misuse of the proteinpow.com Site, we may require you to change your password or we may suspend your account in accordance with paragraph 13 below. Protein Pow protects all your personal data and privacy in accordance with UK Data and Protection Law. Strict security measures are in place and rigorous procedures to ensure that the storage of your personal information is safe. By placing an order on Proteinpow.com we collect your name, email address, mailing address, phone number and credit card information. Discount Codes can only be used online at proteinpow.com subject to these general terms and conditions, and any other specific conditions notified to you on the issue of a Discount Code. A Discount Code is redeemed by entering its code at the appropriate point in the online purchase process. Redemption may be subject to you providing proof of entitlement to use the Discount Code. Your use of a Discount Code indicates your agreement to be bound by these Discount Code Terms and Conditions. Protein Pow Ltd reserves the right to withdraw or cancel a Discount Code for any reason at any time. Discount Codes are, and remain at all times, the property of Protein Pow Ltd. The right to use a Discount Code is personal to the original recipient and may not be transferred. No Discount Codes may be copied, reproduced, distributed, or published directly or indirectly in any form or by any means for use by an entity other than the original recipient, or stored in a data retrieval system, without the prior written permission of Protein Pow Limited. Discount Codes distributed or circulated without the written approval of Protein Pow Limited, for example on an Internet message board or on a “bargains” website, are not valid for use and may be refused or cancelled. Unless expressly stated otherwise at the time of issue of the Discount Codes; Each issued Discount Code will be valid for use by a recipient only once, Only one Discount Code will be valid for use per customer or household, as the case may be, and, A Discount Code may not be used in conjunction with any other special offer or Discount Codes. Even where Discount Codes expressly state at the time of issue that they may be used in conjunction with other Discount Codes or offers, any Discount Codes code beginning X may not be used in conjunction with any other Discount Codes code that also begins X. Discount Codes cannot be exchanged for cash or used to purchase gift-vouchers. Certain goods or services are excluded from all Discount Code offers. From time to time other goods or services may be excluded and any such further exclusion will be notified to you along with the Discount Codes or through the proteinpow.com website. Discount Codes may be limited to redemption in respect of certain products or services or certain products or services may be excluded from the ambit of use of the Discount Codes, in which case notice will be given to you at the time of issue of the Discount Code. Excluded goods and services will not count towards any qualifying conditions for offers and will not benefit from any promotional discount. Where the redemption of a Discount Code is subject to a minimum spending requirement, the redemption is only permitted in respect of the purchase of qualifying products which will be communicated to you at the time of issue of the Discount Code. Excluded products and supplementary charges, such as delivery, gift wrap or postage & packing, shall not count towards a minimum spending requirement. If more than one minimum spend offer is valid for use in an order, there must be sufficient qualifying spend to meet the requirements of each offer in total. For example, to use a £2 off £20 Discount Codes and a £3 off £30 Discount Codes in the same transaction (assuming that these Discount Codes can be used together), you must spend at least £50. Your order and chosen goods will be delivered to the address you give when you place your order. Orders placed before 3:00pm on a working day will be processed on the same day and delivered as per the specified delivery option selected. Next day delivery will be delivered on the next working day (A working day is any day other than a weekend, bank holiday or other public holidays). If a delivery has failed due to the suppliers fault the supplier will inform the customer in due time. If for any reason the customer on purpose fails to accept delivery of goods (otherwise than by reason of circumstances under control of the supplier) then the supplier without any restrictions may : Charge for storage of goods until delivery, including insurance, Charge for re delivery of goods, Sell the goods for a fair and reasonable price. The supplier will not be liable for any loss suffered by you through any delay in delivery. In this case the supplier will make every effort to contact you in reasonable time to inform of delay and give the option of cancelling your order at this point. Any order that is seized by your local customs authority or any other governing body the supplier will not be held accountable; customers will order at their own risk. For redelivery of parcels that are due to the fault of the customer the supplier will charge at least £11.00 to cover shipping and handling fees. Upon delivery of your order you will check the contents of the order and asked to sign if received in good condition. If you cannot check your order you must sign UNCHECKED. By not following these guidelines may affect any warranty claims that you make. Where purchases are stated to be offered on a “VAT-free” basis, the prices of qualifying items will be reduced by the equivalent of VAT. At the current VAT rate of 20% this equates to a discount of 16.67%. When you use a Discount Code you warrant to Protein Pow Ltd that you are the duly authorised recipient of the Discount Code and that you are using it in good faith. If you redeem, attempt to redeem or encourage the redemption of Discount Codes to obtain discounts to which you or a third party are not entitled you may be committing a civil or criminal offence. If we reasonably believe that any Discount Code is being used unlawfully or illegally we may reject or cancel any Discount Codes and you agree that you will have no claim against us in respect of any rejection or cancellation. Protein Pow Limited reserves the right to take any further action it deems appropriate in such instances. At all times our acceptance of an order takes place on despatch of the order, at which point the purchase contract will be made. Protein Pow Ltd shall not be liable to any customer or household for any financial loss arising out of the refusal, cancellation or withdrawal of any Discount Code or any failure or inability of a customer or household to use a Discount Code for any reason. We reserve the right to vary or terminate the operation of any Discount Codes at any time without notice. 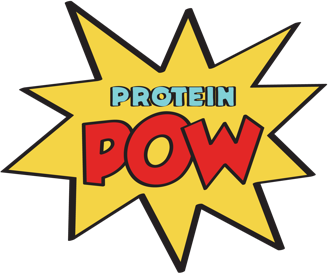 The failure of Protein Pow Ltd to take any action in respect of a breach of these terms and conditions shall not constitute a waiver of their enforceability. Protein Pow Ltd reserves its rights in respect of these terms and conditions at all times. You have 14 days to return the items from the day you receive them so as to be refunded in full via your original method of payment. When goods are returned after this initial 14 day period but within 28 days you will receive a Protein Pow gift voucher only to the value of the returned items. If goods are returned after the above mentioned periods (With exception of damaged and faulty goods) Protein Pow reserves the right to not offer a full refund and return the purchase to you with the customer paying in full the cost of return delivery. For refunds to be processed proof of purchase must be shown in evidence such a a receipt, dispatch note or other proof clearly showing the matching purchase. Refunds will only be given to products returned in their original condition. Refunds or exchanges will not be given to damaged or opened products. Gift cards, vouchers, discount codes, samples and free items cannot be returned within the terms if this refund policy. The services provided by the proteinpow.com Site do not include the provision of computer or other necessary equipment to access the proteinpow.com Site. To use the proteinpow.com site you will require Internet connectivity and appropriate telecommunication links. We shall not be liable for any telephone or other costs that you may incur. The content of the proteinpow.com Site is protected by copyright, trade marks, database and other intellectual property rights. You may retrieve and display the content of the proteinpow.com Site on a computer screen, store such content in electronic form on disk (but not any server or other storage device connected to a network) or print one copy of such content for your own personal, non-commercial use, provided you keep intact all and any copyright and proprietary notices. You may not otherwise reproduce, modify, copy or distribute or use for commercial purposes any of the materials or content on the Proteinpow.com Site without written permission from proteinpow.com. No license is granted to you in these Terms and Conditions to use any trade mark of proteinpow.com or its affiliated companies including, without limitation, the trade marks PROTEIN POW, PROTEINPOW.COM. You may not use the proteinpow.com Site for any of the following purposes: Gaining unauthorised access to other computer systems interfering with any other person’s use or enjoyment of the proteinpow.com site, breaching any laws concerning the use of public telecommunications networks, interfering or disrupting networks or web sites connected to the Proteinpow.com Site, making, transmitting or storing electronic copies of materials protected by copyright without the permission of the owner. Proteinpow.com reserves the right to refuse to post material on the proteinpow.com Site or to remove material already posted on the proteinpow.com Site. You will indemnify us against all losses, liabilities, costs and expenses reasonably suffered or incurred by us, all damages awarded against us under any judgment by a court of competent jurisdiction and all settlements sums paid by us as a result of any settlement agreed by us arising out or in connection with: any claim by any third party that the use of the proteinpow.com Site by you is defamatory, offensive or abusive, or of an obscene or pornographic nature, or is illegal or constitutes a breach of any applicable law, regulation or code of practice; any claim by any third party that the use of the Proteinpow.com Site by you infringes that third party’s copyright or other intellectual property rights of whatever nature; andany fines or penalties imposed by any regulatory, advertising or trading body or authority in connection with the use of the Proteinpow.com Site by you. Although proteinpow.com aims to offer you the best service possible, proteinpow.com makes no promise that the services at the proteinpow.com Site will meet your requirements. proteinpow.com cannot guarantee that the service will be fault free. If a fault occurs in the service you should report it to the Customer Services (see below for contact details) or by email at anna@proteinpow.com and we will attempt to correct the fault as soon as we reasonably can. Your access to the proteinpow.com Site may be occasionally restricted to allow for repairs, maintenance or the introduction of new facilities or services. Proteinpow.com will attempt to restore the service as soon as it reasonably can. Proteinpow.com may suspend or cancel your registration immediately at our reasonable discretion or if you breach any of your obligations under these Terms and Conditions. You can cancel this agreement at any time by informing us in writing. If you do so, you must stop using the proteinpow.com Site. The suspension or cancellation of your registration and your right to use the proteinpow.com Site shall not affect either party’s rights or liabilities. The proteinpow.com Site is provided by proteinpow.com without any warranties or guarantees. You must bear the risks associated with the use of the Internet. The proteinpow.com Site provides content from other Internet sites or resources and while proteinpow.com tries to ensure that material included on the proteinpow.com Site is correct, reputable and of high quality, it cannot accept responsibility if this is not the case. proteinpow.com will not be responsible for any errors or omissions or for the results obtained from the use of such information or for any technical problems you may experience with the proteinpow.com Site. If Proteinpow.com is informed of any inaccuracies in the material on the Site we will attempt to correct the inaccuracies as soon as we reasonably can. In particular, we disclaim all liabilities in connection with the following: incompatibility of the proteinpow.com Site with any of your equipment, software or telecommunications links, technical problems including errors or interruptions of the proteinpow.com Site, unsuitability, unreliability or inaccuracy of the proteinpow.com Site, inadequacy of the proteinpow.com site to meet your requirements. To the full extent allowed by applicable law, you agree that we will not be liable to you/or any third party for any consequential or incidental damages (including but not limited to loss of revenue, loss of profits, loss of anticipated savings, wasted expenditure, loss of privacy and loss of data) or any other indirect, special or punitive damages whatsoever that arise out of or are related to the proteinpow.com Site. Nothing in this paragraph applies to proteinpow.com liability in respect of products sold through the Online Stores. Nothing in these Terms and Conditions shall exclude proteinpow.com liability for personal injury or death caused by its negligence. As a convenience to proteinpow.com customers, the proteinpow.com Site includes links to other web sites or material which are beyond its control. Proteinpow.com is not responsible for content on the Internet or World Wide Web pages on the Protein Pow Ltd Site. Part of the proteinpow.com Site may contain advertising and sponsorship. Advertisers and Sponsors are responsible for ensuring that material submitted for inclusion on the proteinpow.com Site complies with relevant laws and codes. We will not be responsible for any error or inaccuracy in advertising and sponsorship material. Proteinpow.com makes no promise that materials on the proteinpow.com Site are appropriate or available for use in locations outside the United Kingdom, and accessing the proteinpow.com Site from territories where its contents are illegal or unlawful is prohibited. If you choose to access this site from locations outside the United Kingdom, you do so on your own initiative and are responsible for compliance with local laws. Please ensure that the expiry date of your payment card is after the anticipated purchase date of your order. Payment is taken at the point of purchase for goods and in the event that the payment card has expired we will be unable to take payment and fulfil your order. We may contact you based on any feedback you give in any of our survey. Protein Pow does not store credit card details nor do we share any of your details with 3rd parties. The Protein Pow checkout is provided by SagePay, Elavon, and Paypal, your payment is secured comprehensibly within our website by an authorised and secure SSL (Secure Sockets Layer) certificate. Protein Pow protects all your personal data and privacy in accordance with UK Data and Protection Law. Strict security measures are in place and rigorous procedures to ensure that the storage of your personal information is safe. By placing an order on Proteinpow.com we collect your name, email address, mailing address, phone number and credit card information. From time to time we will record the products you are interested in and the history of your purchases. Your personal information will not be used for any purpose other than to inform you of offers and newsletters if you have agreed to receive marketing material in your account. If you breach these Terms and Conditions and proteinpow.com ignores this, proteinpow.com will still be entitled to use its rights and remedies at a later date or in any other situation where you breach the Terms and Conditions. Proteinpow.com shall not be responsible for any breach of these Terms and Conditions caused by circumstances beyond its control. If you have any queries please contact anna@proteinpow.com or a member of our team at sales@proteinpow.com.